Tensie Whelan serves as the president of the Rainforest Alliance. She has been involved with the Rainforest Alliance since 1990, first as a board member, and then later as a consultant, becoming the executive director in 2000. Tensie has been working in the environmental field for more than 25 years, during which time she served as the vice president of conservation information at the National Audubon Society and executive director of the New York League of Conservation Voters. Whelan also worked as a journalist and environmental communications consultant in Costa Rica, and was the managing editor of Ambio -- an international environmental journal based in Stockholm. Prior to joining the Rainforest Alliance as its executive director, Whelan worked as a management consultant to nonprofit organizations such as the Environmental Defense Fund. Tensie serves on the advisory boards of Social Accountability International, Unilever Sustainable Sourcing Advisory Board, and Corporate Eco Forum, and is the co-chair of the steering committee of the Sustainable Food Lab. She holds a master’s degree in international communication from American University's School of International Service and a bachelor’s degree in political science from New York University. 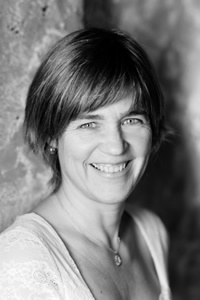 Tensie's published work includes one of the first books on ecofriendly tourism, Nature Tourism: Managing for the Environment, published in 1991 by Island Press. She has been recognized as one of the “100 Most Influential People in Business Ethics” by Ethisphere for several years, including in 2011, was the recipient of the Wall Street Journal/WinningWorkplaces “Top Small Workplace Award” for the Rainforest Alliance in 2008, and the James Beard Foundation leadership Award in 2012. In January, 2016, Tensie will be taking on a new challenge—setting up a Center for Sustainable Business at NYU Stern School of Business.